The rainy weather and humidity we’ve experienced in the last few weeks can be an absolute nightmare for people suffering with migraine headaches. Oakville chiropractor Dr. Jenn Garven speaks from experience. Migraines can be completely debilitating. Whether the headaches are triggered by changes in barometric pressure, foods, red wine, hormonal changes, stress or lack of sleep – chiropractors can help! The simple answer to this question is – we don’t know. It has been researched extensively, yet there are no clear cut answers. Most Chiropractors have agreed that there are a number of possible explanations. Irregular brain activity, vascular irregularities, hormonal fluctuations, environmental factors and blood chemical changes can all trigger migraine type headaches. The cause of migraines is not simple, and likely differs from person to person. Let our Oakville Chiropractor check you out today. How do you know if you’re suffering from a migraine type headache? Typically migraines are felt on one side of the head, behind the eye or temple area. The pain can be quite severe, and is often described as throbbing or pulsating pain. The pain can last anywhere from 4 hours to 3 days and can be associated with sensitivity to light and/or sound. These headaches can even cause nausea and vomiting! How can Chiropractic help your migraine? There are different treatments recommended for different types of headaches. Migraines are a type of headache that respond well to getting adjusted by a chiropractor! Regular chiropractic adjustments of the neck can help decrease the intensity and frequency of these headaches – which all migraine sufferers would welcome with open arms. Guidelines for the management of these headaches include adjustments 1-2x/week for 8 weeks to get the headaches under control. After this point, at the discretion of the chiropractor, treatment can continue as needed to effectively limit migraines. But wait – our Chiropractors usefulness doesn’t end there. 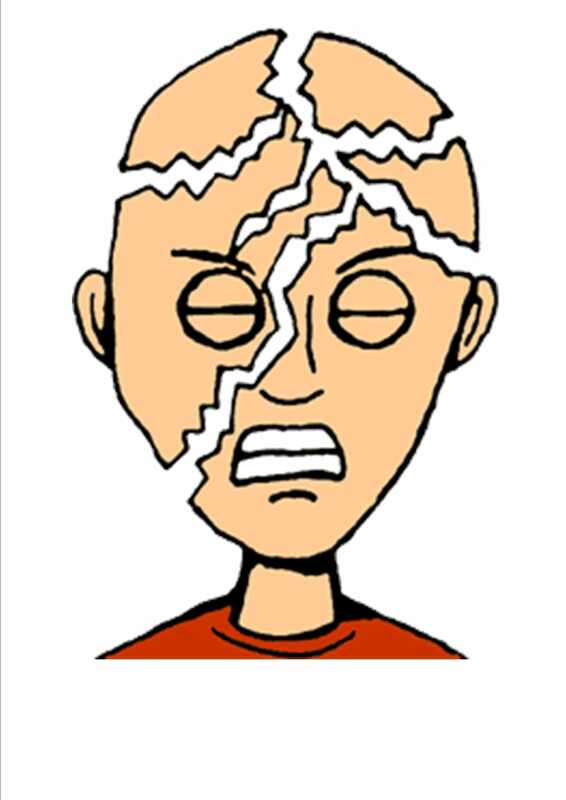 Migraine headaches can be aggravated by tight muscles in the back of the head and neck. As part of your chiropractic treatment, these muscles can be stretched to help alleviate pain and discomfort. Specific massage techniques can be used on these areas to decrease tension and help the headaches feel less severe! Acupuncture treatments can also be very helpful in reducing the intensity and frequency of migraine headaches. 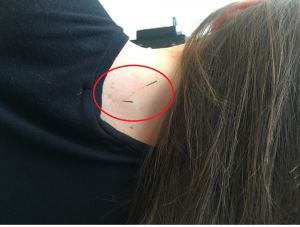 Needles inserted into tight muscles in the back of the head and neck help them relax and help to reduce pain. There are also designated points in the ears and hands that have been shown to effectively treat migraines. Acupuncture is non-painful and very effective, especially when added to traditional chiropractic care. There are a few other aspects that can be included in your treatment to help tackle migraine headaches. Managing stress, and using stress-relieving techniques can help keep migraines at a minimum. Nutritional counseling on proper diet and migraine-aiding supplements can also help manage migraines. Lastly, regular exercise is recommended for all migraine sufferers. If you suffer from migraine headaches, come see us! Through specific adjustments and muscle release techniques migraines can be effectively managed. Don’t spend any more time suffering from headaches, get started with Dr. Steve or Dr. Jenn today!